This classroom report gives well-researched details about an endangered animal. The snow leopard, an endangered animal, lives in the Ala Tau and Himalayan Mountains of central Asia. In the summer the leopards live high up in the mountains, and in the winter they stay in warmer valleys. Except for a mother and her cubs, snow leopards live alone in their own territories. Snow leopards are usually active in early morning and late afternoon. They are powerful animals and can leap over large ravines when they are hunting. They hunt for ibex, sheep, pikas, rabbits, and even birds like geese. A full-grown snow leopard can be up to six feet long. Its tail is three feet long and is covered with the same thick, gray fur as the rest of the body. When the leopard sleeps, it covers its nose with its tail as protection from cold winds. Because its ears are small, less body heat comes out through them. The snow leopards’ fur can be up to three inches thick! This thickness helps them survive in the cold Asian mountain weather. The fur is gray with brown spots, and it allows the leopard to hide beneath snow drifts and stalk prey. Snow leopards are endangered because they are killed for their thick fur. Snow leopards and other endangered species can be saved. For information, look up addresses of wildlife organizations at the library. The Snow Leopard by Thoughtful Learning is licensed under a Creative Commons Attribution-NonCommercial-ShareAlike 4.0 International License. 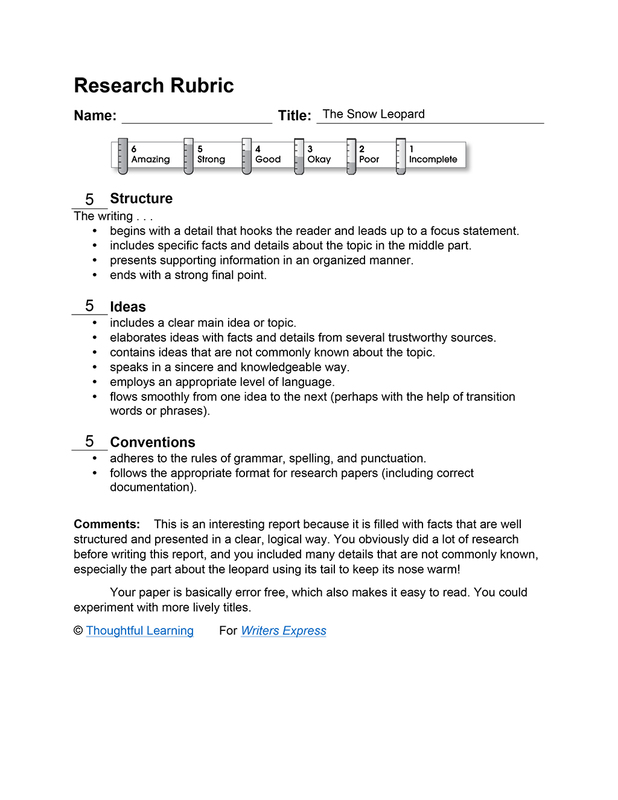 Based on a work at k12.thoughtfullearning.com/assessmentmodels/snow-leopard.